YouTube has just become the top-grossing app in the App Store, according to a new report by TechCrunch. The milestone was first spotted by the App Store marketing intelligence firm Sensor Tower. While YouTube’s position has been rising on the Top Grossing charts for a few years now — ever since the launch of its paid YouTube Red subscription service — this is the first time it has risen above third place. 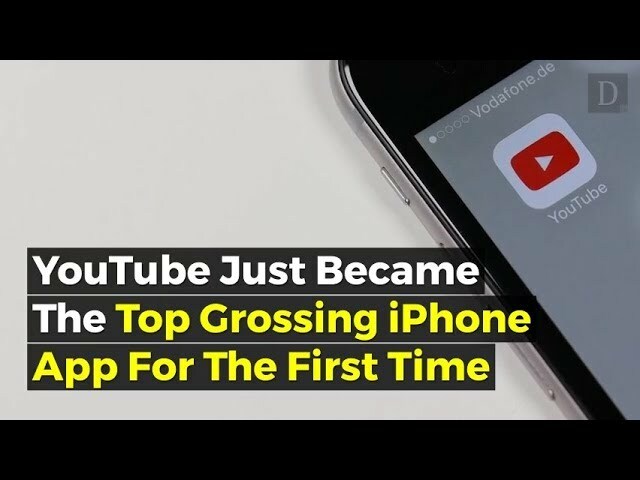 The month after YouTube Red’s launch, the YouTube iPhone app jumped to sixth place, at which point it was estimated to be bringing in between $100,000 and $300,000 per day from the iPhone version alone. Sensor Tower notes that the U.S. is the only country where YouTube’s iPhone app has ever hit the top spot, the U.S. is one of only five countries where the YouTube Red service is available (the others being Australia, Korea, Mexico, and New Zealand). YouTube Red has continued to grow in popularity in general, and TechCrunch notes that it’s been boosted along by trends such as the rise of cord-cutting, younger users getting their own phones, and mobile streaming plans that don’t count YouTube’s data. Other features such s messaging, Community, and Reels have also helped to better engage YouTube viewers and draw them to the platform. While YouTube’s revenue comes primarily from YouTube Red, it’s also worth noting that YouTube’s new Super Chat virtual tipping mechanism also contributes to its bottom line.